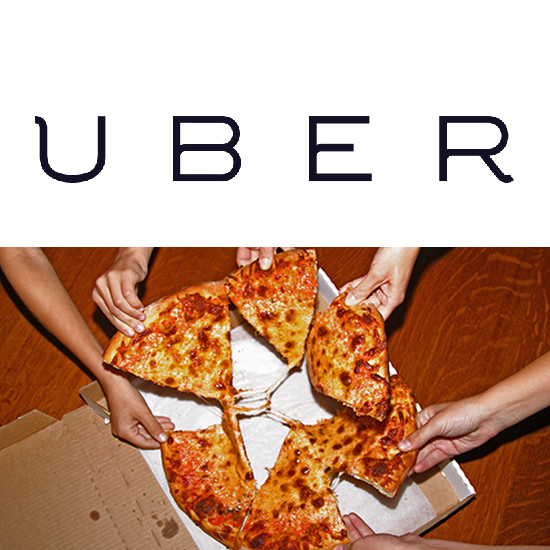 Uber and pizza go hand-in-hand. Stick with me on this one for a second… When are you most likely to get an Uber? When you’re leaving the bars hammered. And when you’re leaving the bars hammered, what are you craving? Late night drunken pizza. And who’s going to get you there? Uber. See, I told you… Hand-in-hand. So, even though Uber doesn’t provide as compelling an explanation as to why they’re giving away free slices of pizza to New Yorkers this week in honor of their fifth year in the city – “we know New Yorkers love a good slice” is their official stance – we understand the inherent logic. And sure, we’ll take your free pizza! The free slice promotion highlights a different NYC borough each day this week. Unfortunately, Staten Island was yesterday, so if you’re a Staten Islander reading this right now, sorry, you missed out. (It’s a feeling I’m sure you’re used to.) Today’s borough is the Bronx with Queens, Brooklyn and Manhattan to follow in that order. Related: SHOULD YOU BECOME AN UBER DRIVER? To get your free slice, all you have to do is swing by one of the participating pizza shops – there are anywhere from two to nine options depending on the borough – between 11am and 6pm and show your Uber app at the door. Though the Uber website is being coy about which pizza places are included, The Daily Meal has the entire rundown on their website. But before you get too excited, Uber does warn, “Demand will be high and availability limited. Pizza will be provided on a limited, first-come, first-served basis.” I guess you can’t charge surge pricing on free, huh?